Check out this jump by Landon Davis where he is flying several feet in the air while playing guitar and giving a metal sign. If this isn't multitasking I don't know what is. 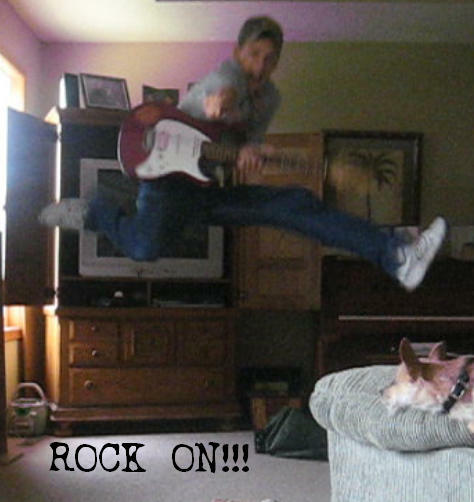 If Landon keeps pulling badass guitar jumps like this he will start finding holes in his ceiling!